This is good news that in 27th eauction 9x Jalwa channel won slot on DD Freedish and now it is available on DD Freedish. This channel was already fta from NSS6 satellite, but not removed from this satellite and added on GSAT15 satellite. 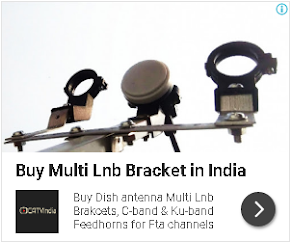 DD Freedish users can retune their set-top box at given below frequency. in 27th eauction another channel won slot "Premier Cinema" but not launched yet. Very soon we will give you update here. You can check all updates of 27th e-auction from here. Bachchho k liye koi cartoon chennal add karye na to bachchho ko maja aye.